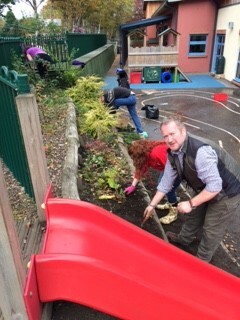 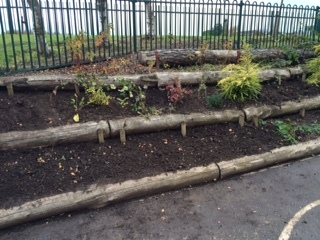 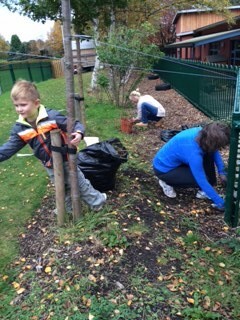 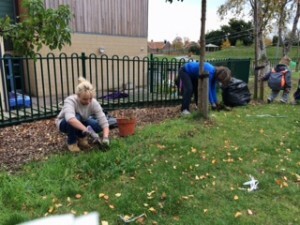 Thanks to all Parents, Grandparents and helpers who came out last Saturday to help us to organise our garden area.It’s great to see it all looking so tidy and ready for the Spring. It was lovely to have the company of some of our children and hopefully we will have more in the Spring. We even came across our resident frog! It was agreed that we should meet up again early Spring, maybe towards the end of February, to see what else we can do to make our grounds even better.There are some bird boxes and butterfly hides that we could fix to the trees and some ideas that need a little concrete – do we have anyone with experience of concrete mixing out there? 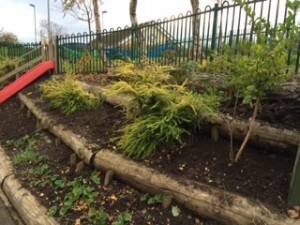 We also managed to get some features fixed on to the walls. Our new water wall is a big hit with the children and the mirror arch… well, it’ll be interesting to see what the children make of that… something to do with a fairyland, maybe? 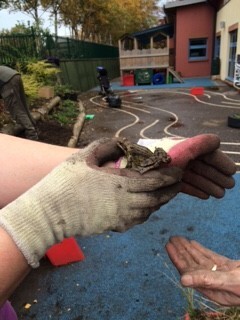 We even found our resident frog! 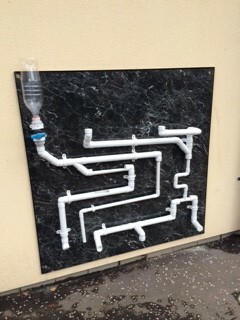 Our new water wall is up and the children love using it. 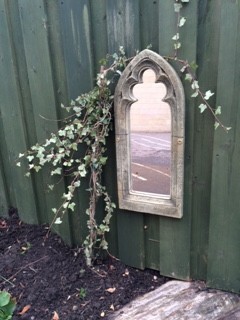 The beginning of a fairy garden, maybe?